T&D Marketing and Communications System – This system’s processes organize all of the communications and marketing/selling efforts to provide timely, easily accessible information to all of the customers and stakeholders in the T&D organization’s marketplace. This 12-part Blog series addresses the systems and processes of an organizational entity addressing T&D/ Learning/ Knowledge Management. 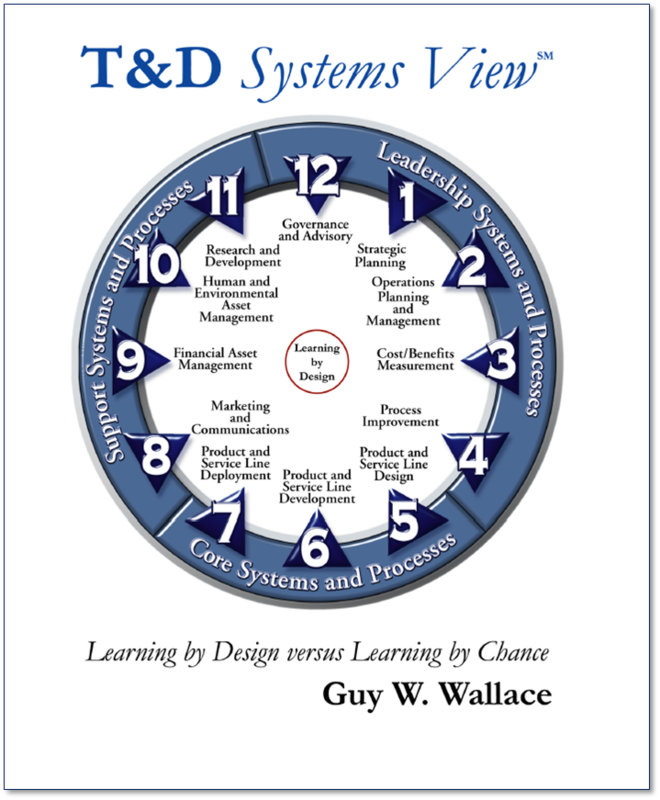 Original source is my 2001 book… T&D Systems View… which is available as a free PDF, and as a paperback for $20.00 USD plus s&h. We are “rockin’ round the clock” – so-to-speak – starting from the 12 O’Clock portion of the model – the most important sub-system in the system you have in place for T&D/ Learning/ Knowledge Management – IMO. Your models and thoughts may vary. And may need to. 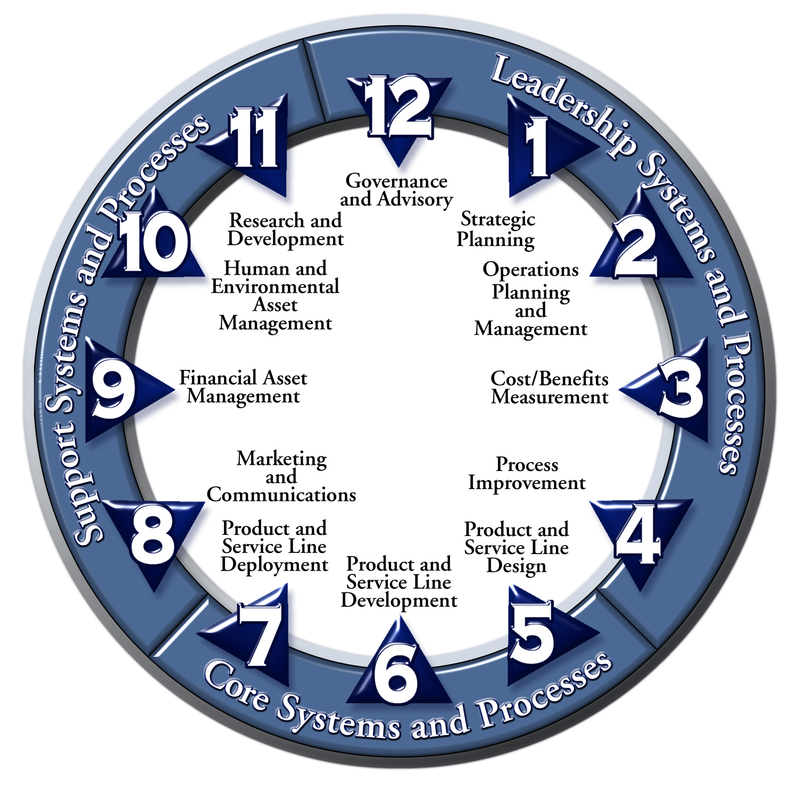 The 12 clockface positions of the T&D Systems View model each represent a subset of the total system’s Processes of T&D. Not all are of equal consequence, and therefore, imporatnce – and then worthy of improvement efforts. Sometimes you need to live with it as it is and do the best given current realites. 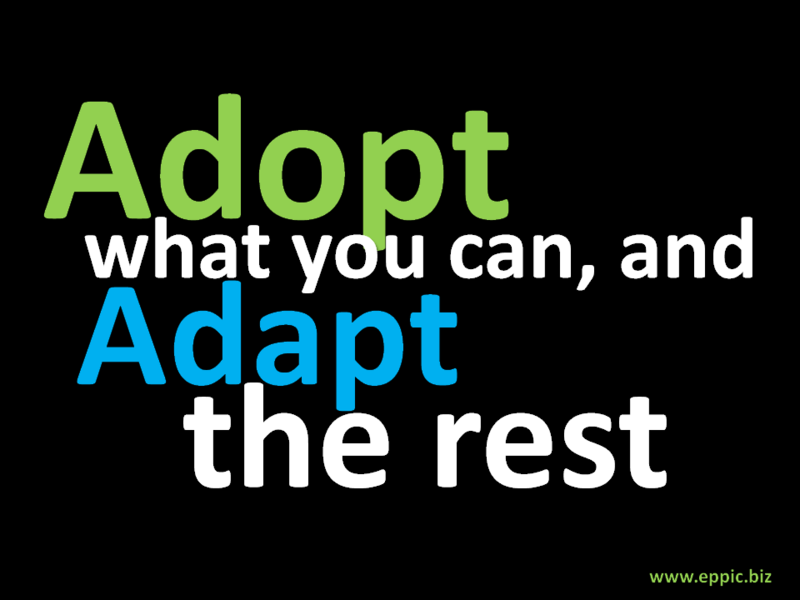 But othertimes you need to address the improvement potential inheirant in any poor practices, policies and processes. Various “proactive” T&D communications, e.g., brochures, videos, flyers, mailers, posters, Web sites, etc. 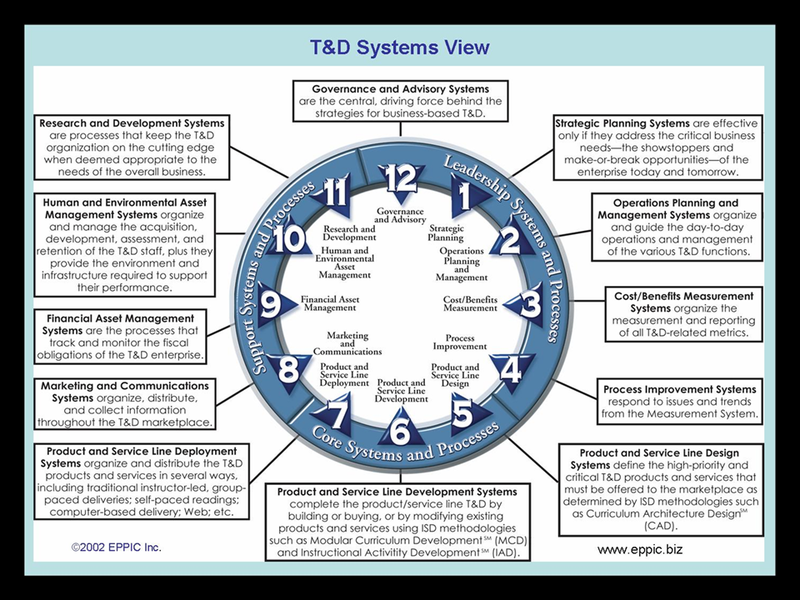 These create/establish awareness, knowledge, and insight into the offerings and doings of the T&D system, targeted specifically to each stakeholder group or subgroup. Various “reactive” T&D communications Answer specific questions by both individuals and groups. Stakeholder groups have had to ask for information that is really viewed as “needed to know” by both of them and by the T&D governance and advisory groups. Stakeholders complain about the lack of information available. Frequently asked questions are not being captured, and then the answers proactively “pushed” out to like audiences. Surveys discover that T&D target audiences and other stakeholder groups do not understand what’s available and how to access it or participate in it. Individual T&D plans Allow managing actual to plan schedule and cost performance. Group T&D plans (roll-up) Allow managing actual to plan schedule and cost performance at the departmental/business unit levels. Enterprise T&D plans (roll-up) Allow managing actual to plan schedule and cost performance and places a demand forecast on the entire T&D system. There are no individual-to-group-to-enterprise roll-ups of the T&D participation plans. They are all discrete and not linked. Individual plans are not used and/or no common format exists. No one has a realistic clue of the future demand for T&D products and services. T&D seats are under-filled or sites are underutilized for many deployments. Orders for T&D Formalize the requests for T&D and allow tracking various metrics (time to ship, backlogged orders, etc.). Customers complain that their “orders” are not being filled in a timely manner or are being filled incorrectly. Expediting orders is usually necessary and taking a lot of people’s time and attention. 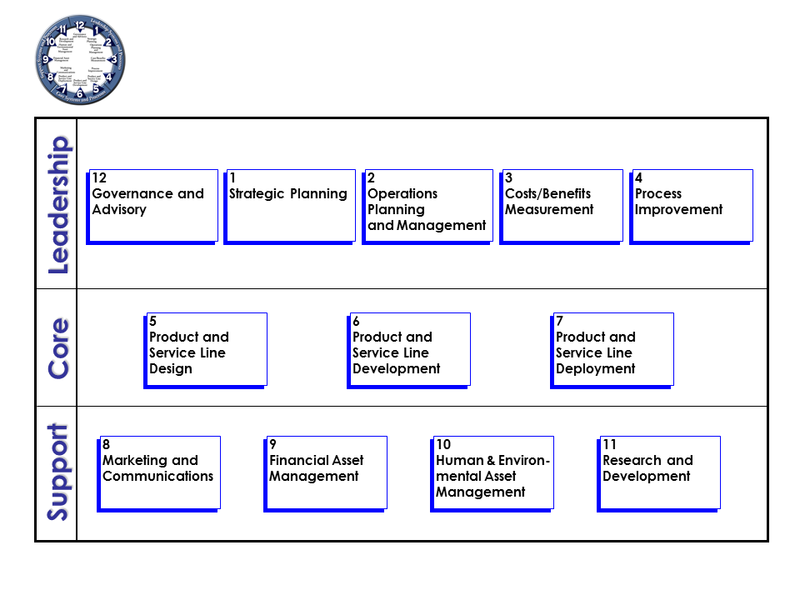 The processes of this area of the model are critical in creating awareness of the offerings and a means to conduct the necessary unique planning to bring each individual to their highest level of Performance Competence, consistent with the needs of the Enterprise. Again – for more on this model please see the free 400+ page book: T&D Systems Viewatwww.eppic.biz – which is intended as both an analytic and design tool – here. It is also available as a $20 paperback. 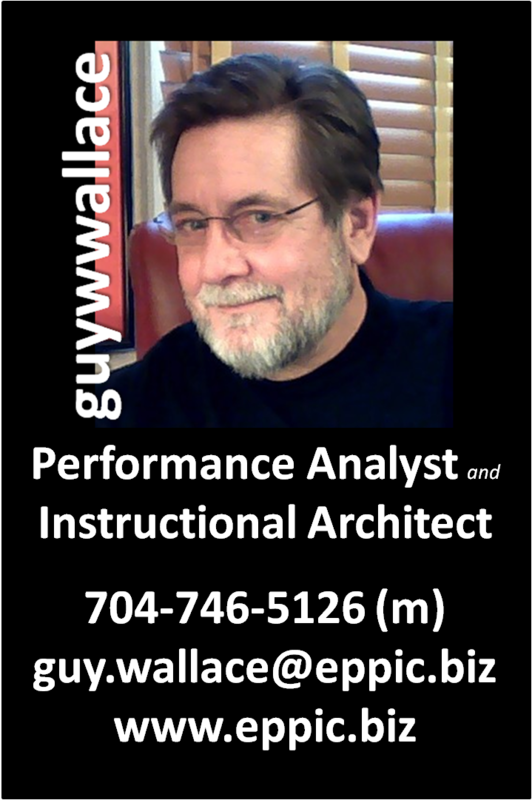 Guy W. Wallace, has been an external ISD/HPT consultant since 1982, is the president of EPPIC Inc., and is a past president of ISPI – the International Society for Performance Improvement. He has consulted with 75+ clients on Instruction and Documentation efforts since 1982, including projects with more than 45 F500 firms. Guy is also the author of the book: lean–ISD, a recipient of an ISPI 2002 Award of Excellence. lean-ISD – is available as a free PDF and/or a $30 paperback – here. Guy has also authored/co-authored 13 other books. See Guy’s LinkedIn Profile – here.